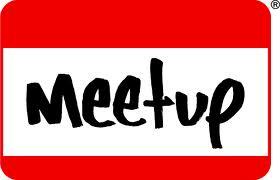 Below you will find a list of Meetups in the DuPage County area. If you are not familiar with Meetup.com, you should take a few minutes to check it out. On Meetup, people can find and meet with others who have a shared interest. Interests include just about every hobby, skill, or business networking concept you can imagine (and probably more). The site promotes and encourages individuals to get together (beyond the confines of cyberspace) to partake in shared interests. It’s a great way to make new friends, especially knowing you already share a common interest. Meets monthly to network, discuss business ideas and current local business economy. Learn the skills needed to master Microsoft SharePoint 2010. Area internet professionals meet to discuss web marketing and technology. A group of adults interested in learning and practicing dancing. Beginners are welcome. Get out and socialize with other area residents. Meet others in the area while attending social events held at local restaurants, pubs, and more. The goal of this meetup group is to hike, bike, or walk at least 10,000 steps per outing/meetup. Plans and embarks on various travel adventures to exotic locations worldwide. Monthly meetups for local area pug owners and their pets. Check back soon… More meetups to come!